1. Floating Post Office in Michigan? Michigan is the only place in the world with a floating post office. 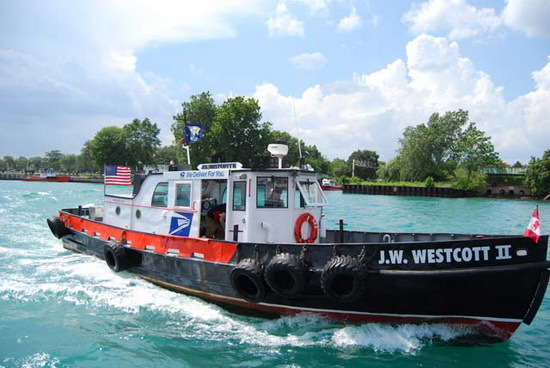 The J. W. Westcott II is the only boat in the world that delivers mail to ships while they are still underway. They have been operating for 125 years. 2. Florida Has Two Rivers With the Same Name? 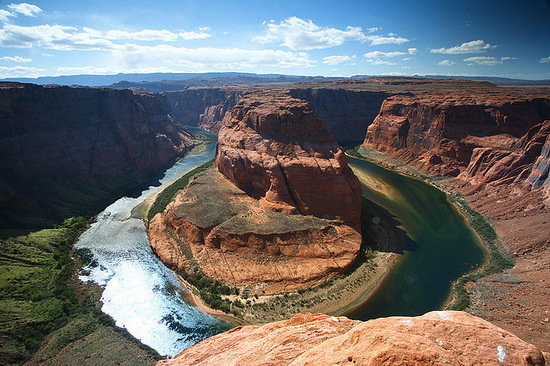 Florida is the only state that has two rivers with the same name. 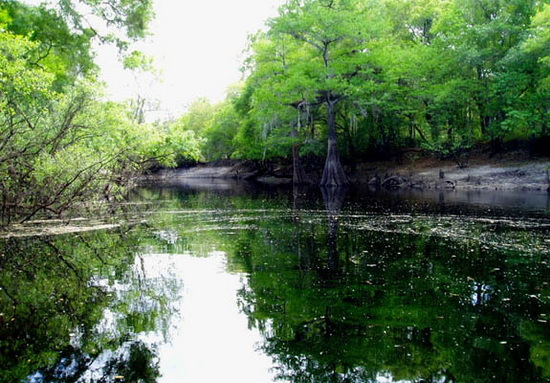 There is a Withlacoochee in north central Florida (Madison County) and a Withlacoochee in central Florida. They have nothing in common except the name. 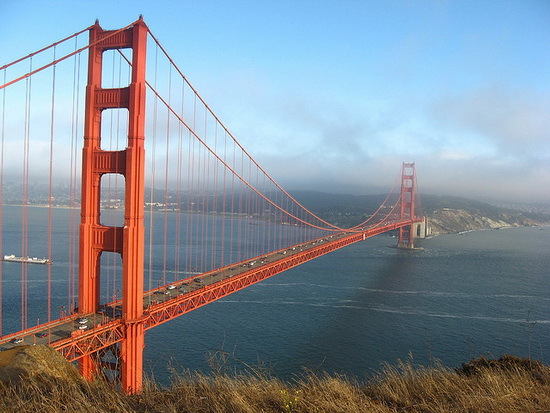 The Golden Gate Bridge is painted red, but called Golden because of the sun. Its steel cables are long enough to circle the Earth three times! If the US Navy had its way, the bridge might have been painted in black and yellow strips, for ships to see it clearly. Over 1,200 suicides have occurred from jumping off the bridge. The Golden Gate Bridge is the most photographed bridge in the entire world. 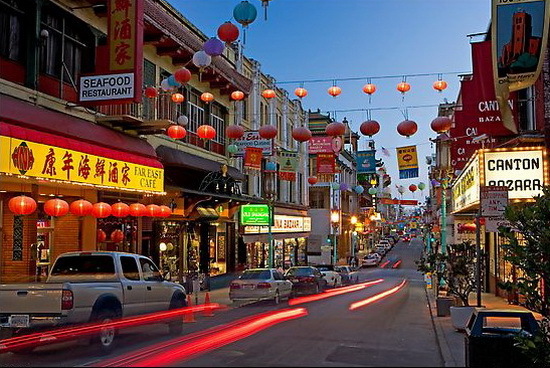 San Francisco's Chinatown is the oldest Chinatown in North America and the largest Chinese community outside of China (over 100,000 people - census 2000). 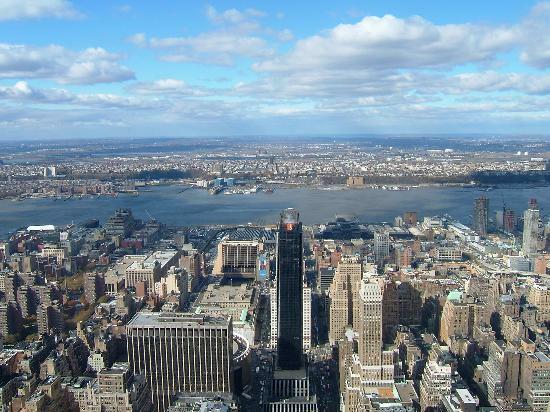 On a clear day one can see five states from atop the Empire State Building in New York City: New York, New Jersey, Connecticut, Massachusetts, and Pennsylvania. 7. Chicago River Used to Flow in the Opposite Direction? 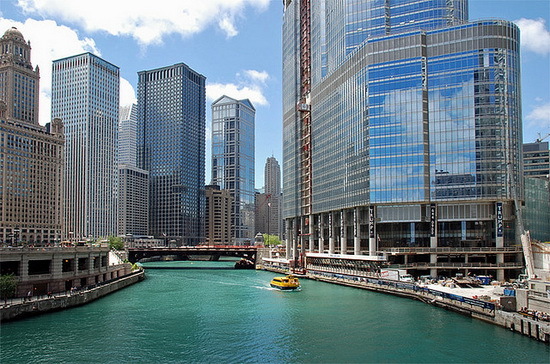 The Chicago River, which today flows away from Lake Michigan, used to flow in the opposite direction. Between 1898 and 1900, engineers dug what became known as the Sanitary and Ship Canal or Main Canal connecting the Chicago River to the Mississippi River. This caused the water to reverse its flow. 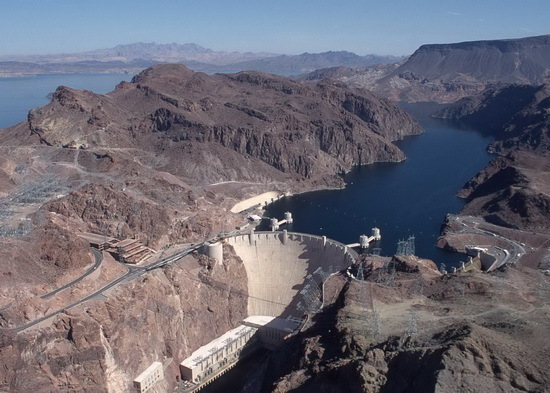 Hoover Dam is the largest public works project ever undertaken in the U.S. and has a greater structural volume than the largest Egyptian pyramid (Height of dam - 726.4 ft (221.4 m); Length of dam - 1,244 ft (379 m)). 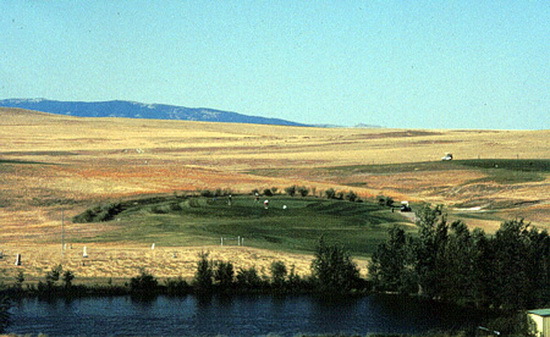 Old cemetery of Harlowton (Montana) comes into play and Jawbone Creek Golf Course is known as the only course in the world to enclose a cemetery. Two of the sand traps have log-faces on them, one is nicknamed 'The Devil's Dungeon'. 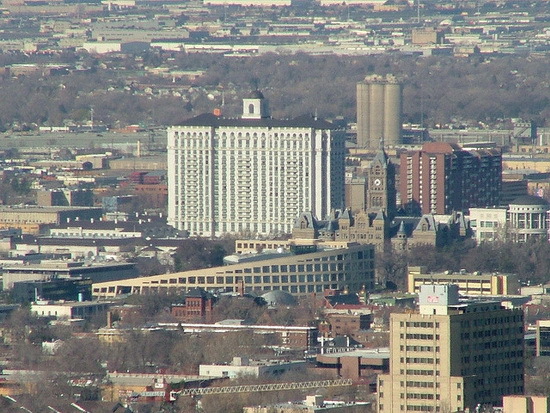 Of the 50 states, Utah has one of the largest concentrations of computer software firms; one of the four larger concentrations of biomedical firms; the youngest population; one of the highest birth rates; the second lowest death rate; the healthiest population; the highest literacy rate; the highest percentage of high school graduates; and the highest number of people with a college education. 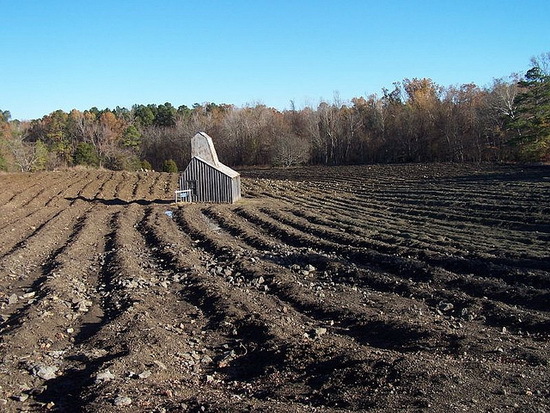 The only working diamond mine in the US is Crater of Diamonds State Park located in Murfreesboro, Arkansas. It is also the “only diamond producing site in the world that is open to the public.” Visitors can keep whatever diamonds they find. In 1909, Wayne County (Detroit, Michigan) built the first mile of concrete highway in the world on Woodward Avenue between Six and Seven Mile roads. Until then, a surfaced road was gravel, and often a horse was employed to pull a car out of the muddy muck. Road builders from near and afar came to see how concrete stood up under the heavy traffic of that period. It cost $13,537, including $1,000 in state aid.